I recently visited Sunburst Winter Sports Park and I have to tell you, it was an absolute blast! My family was in from Chicago and mentioned wanted to ski and snow tube and I had no idea where to go. After some research, I found that Sunburst Winter Sports Park was exactly what I was looking for! Located only 44 miles from downtown Milwaukee, Sunburst was the perfect place to make a quick day trip to ski, snowboard or go tubing! We started our day at Sunburst by snow tubing for $18 per person and it was totally worth it! I haven't laughed, (happily) screamed and smiled that much in awhile! It's not as thrilling as a roller coaster... but I wouldn't underestimate how fun and exciting snow tubing can be! I would recommend running up to the tub to get speed as well as holding on to your friend's tub to go down together. Makes tubing that much more fun enjoyable when you have someone right along side you! After tubing, we headed up to the lodge to purchase lift tickets and rental gear for skiing and snowboarding. 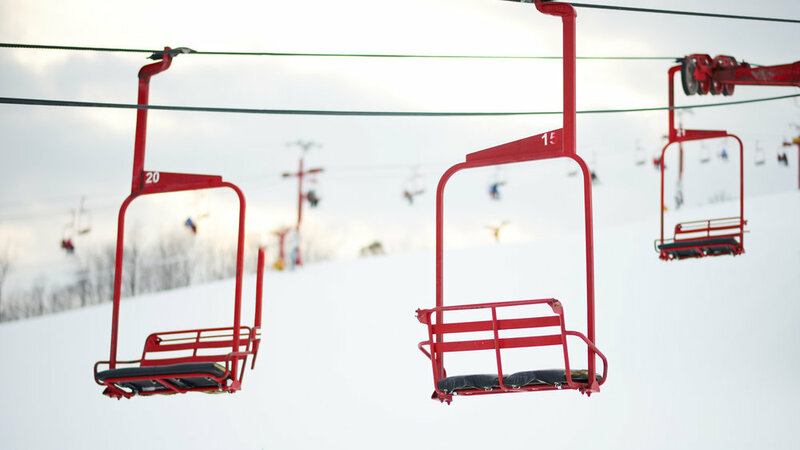 Lift tickets for adults cost either $33 or $44 depending on what day and what time of day you go. For children, it costs $25 or $27. Check out exact pricing here! I passed on skiing and snowboarding but those who did it had an awesome time! In the photo above you can see the entire grounds of Sunburst Winter Sports Park. The left side are the ski slops and the right side is the snow tubing area! You can check out the trail map at the link here. To warm up a little, I headed into the lodge where I found a bar, drinks, food and view of the park! Overall, my family and I had a great day and a ton of fun at Sunburst. If you are looking for a fun day trip this weekend, check them out!